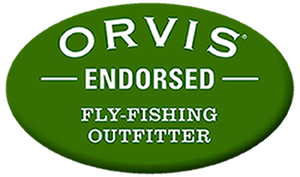 Our Guide Instructors have over 40 years of combined experience guiding fly fishing and whitewater trips. Each of our instructors has their own unique method of guiding. Their insights will help you to develop your own approach and techniques. Below are some quick bio’s on our main instructors, they and other talented RIGS guides will teach you what it takes to be a float fishing guide! RIGS Fly Shop & Guide Service owner and founder Tim Patterson has led fly fishing, rafting, and eco-tours throughout Central America, Mexico and the Southwestern U.S. for the last 25 years. Tim created the RIGS Whitewater Guide School in 2001. RIGS Head Guide Matt McCannel started his career in 2004 and leading three day expeditions within the Gunnison Gorge and is also a premier tailwater guide on the Uncompahgre River within Ridgway State Park’s “PACO”. Matt has earned the unique distinction of becoming a SAGE Ambassador, SIMMS Ambassador and is also a royalty fly tier for Umpqua Feather Merchants. *Additional RIGS Certified Guide Instructors may also participate throughout your training course. Client Assessment & Risk – identifying client needs, wants, physical condition and limitations. Ensuring a high level of safety, comfort and professionalism. Vehicle Operation and Safety – including ideal guide vehicles, driving with a trailer, backing up the trailer, vehicle organization, cleanliness and understanding laws. Reading the Water – river currents, eddies and waves. Types of Rafts and Drift Boats – our course covers drift boats and inflatables. River Gear – rigging and overnight camp considerations.